Size: -- Choose Size -- 10 fl. oz. 3 fl. oz. 33 fl. oz. 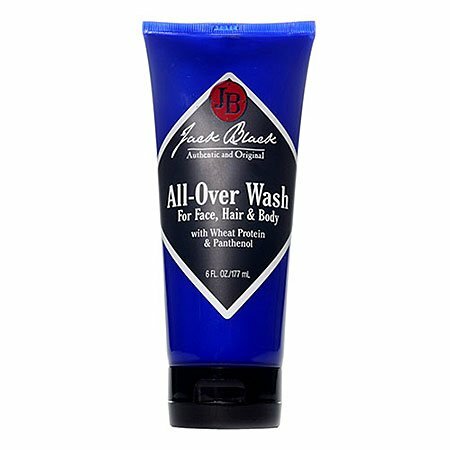 If you’ve been searching for the perfect multiple-purpose sulfate-free wash for your body, hair, and face, Jack Black offers an exceptional solution. 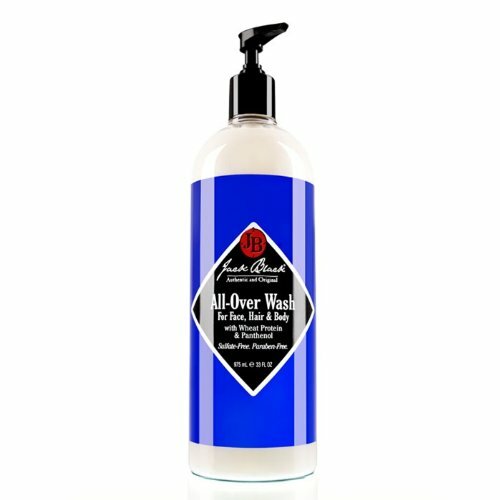 Jack Black All-Over Wash is a multipurpose wash that can be used as body wash, shampoo, and face wash. This sulfate-free multi-purpose wash provides a rich lather to eliminate dirt and sweat without stripping skin and hair of essential moisture that keeps them looking healthy. Our multipurpose wash leaves a fresh scent without being too fragranced or heavy, and pH-balanced cleansers are gentle enough for the face, hair, and body. 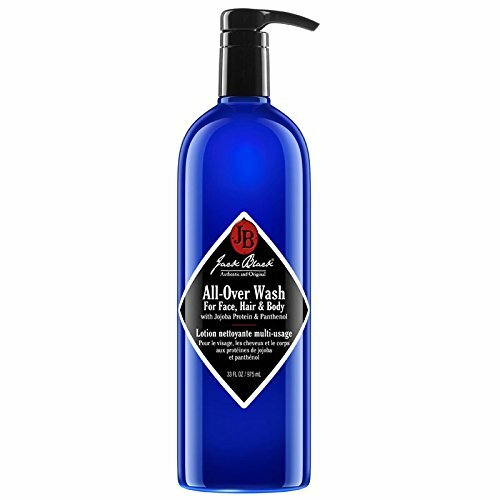 Jack Black All-Over Wash comprises the finest ingredients, which work together to produce a clean, effective, and pH-balanced lather that cleans your hair, body, and face completely. Jojoba protein is added to provide water-binding properties that help maintain moisture in hair and skin. The B5 provitamin panthenol provides lightweight moisturization that softens and smooths hair and skin. Cocamideopropyl betaine is a coconut-derived surfactant that provides effective, gentle, sulfate-free cleansing and leaves the hair and skin soft and hydrated. Sea kelp is added for its hydration and anti-inflammatory properties. Shea butter contains fatty acids that hydrate and moisturize dry skin and hair. All Jack Black products are carefully formulated with the finest ingredients to be highly effective yet easy to use. 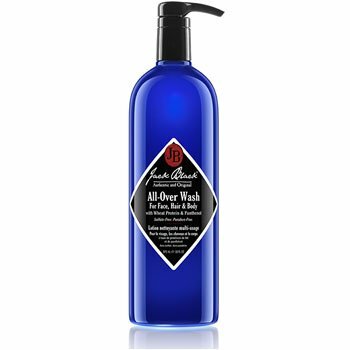 Every Jack Black product is dermatologist tested, paraben free, cruelty free, and free of harsh surfactants. Almost all products in our line are vegan, free of artificial colorants, safe for sensitive skin, and made in the USA. 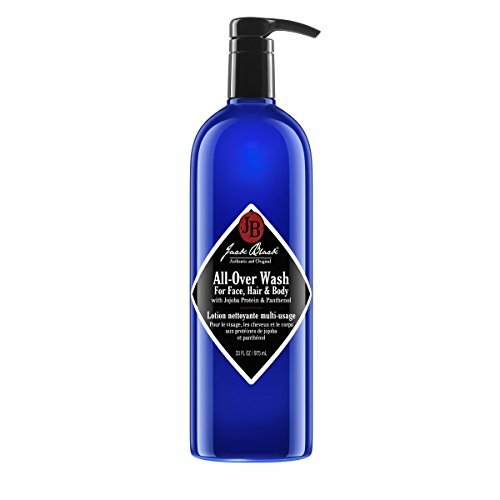 For best results, apply a small amount of Jack Black All-Over Wash to wet hands, work into a lather, and apply to face. Rinse. Use morning and night to cleanse skin. Follow with moisturizer.